Continuing the success of the state champion 1982-83 team, the 1983-84 Richwoods High School girls basketball team set the state record by extending the program’s winning streak to 63 consecutive games before falling in the IHSA Class AA state championship game to Elmhurst York High School, 55-46. The 63-game winning streak remains the second-best in IHSA girls basketball history, topped only by a 65-game run by Maine West High School from 1987-89. Entering the state tournament as the No. 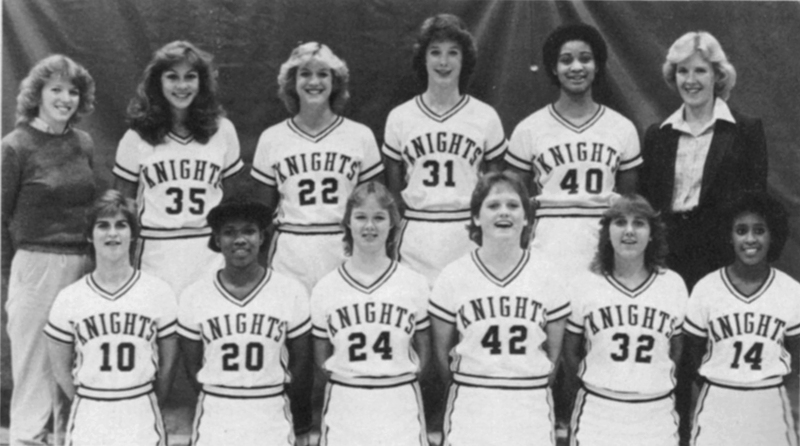 1 ranked team in the state, the 1983-84 Knights finished the season with a 31-1 overall record and they won the fourth consecutive conference championship. Led by state tournament scoring leader Nora Lewis, Richwoods set the tourney record by shooting 71.4 percent from the field in its quarterfinal victory against Dundee-Crown High School. Tammy Van Oppen was a 4-year starter for Limestone basketball. 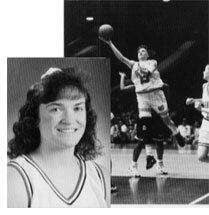 She led the Rockets to 3 state appearances, culminating with a 2nd place 1992 finish and a 32-1 record. The leading tourney scorer, she was All-State, All-Tourney and won the title of Ms. Basketball-Illinois. Tammy started her collegiate career at South Florida, where she set the freshman scoring record with 494 points for the 1993-94 season. Transferring to Bradley her last two seasons, she ended her career there with 763 points, 15.0 ppg, 6.8 rebounds and is currently 10th in school history in blocked shots. She was a 2-time All-Conference pick and a 2-time MVC Player of the Week. Van Oppen finished her collegiate career with 1,600 career points.